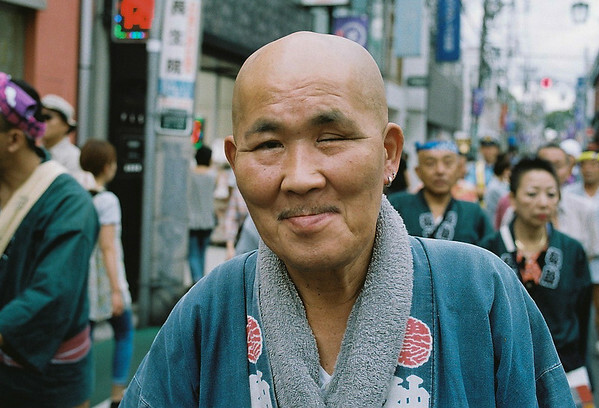 I love the people that I encounter at the yearly Jiyugaoka Matsuri. There is always a diverse crowd and never a dull moment in front of my camera. I was really glad I stopped and photographed this man. His face is full of personality.